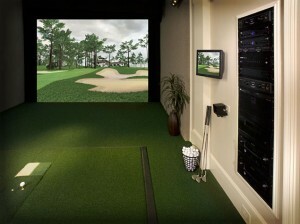 With the new Golf Simulator room at Tehidy we can now bring you a real golfing experience indoors whatever the weather. As a 22 handicap golfer, who has just joined his first full size course golf club, I was very pleased with the service and professional guidance showed by Jonathan who helped me choose my customised golf clubs. I was unsure how the process worked but am happy to report it was very straight forward and enjoyable. This is a service I would recommend and which has helped me approach future rounds with more confidence. Thanks Jonathan for giving me some valuable tips and great service! ShadowLands example video hole flythrough from Perfect Parallel on Vimeo.